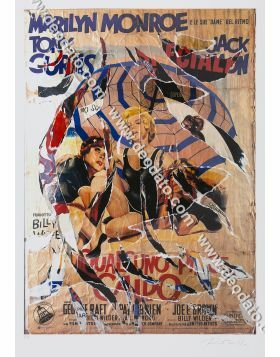 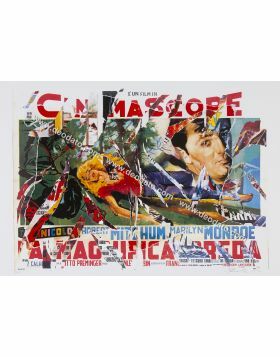 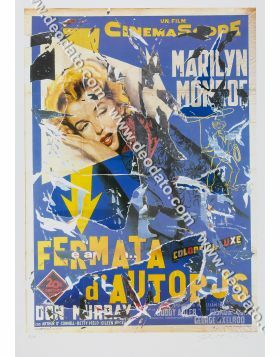 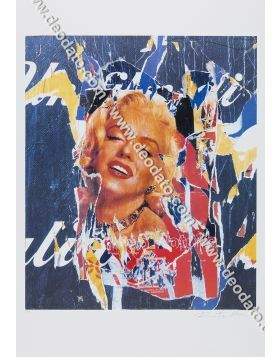 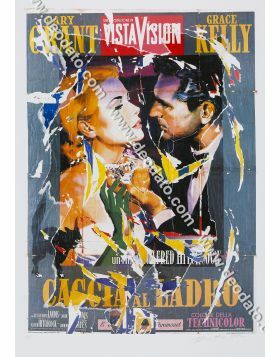 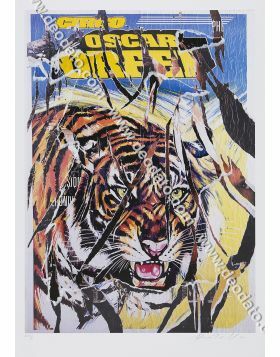 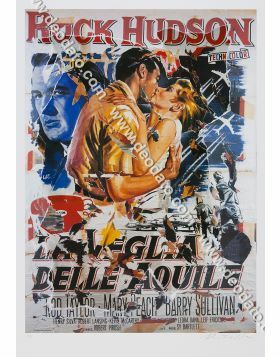 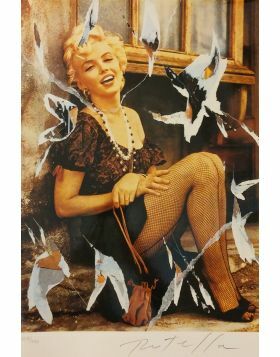 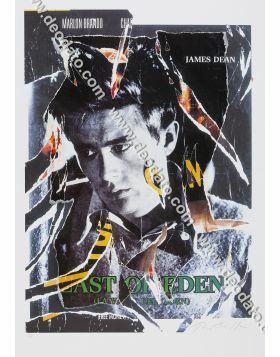 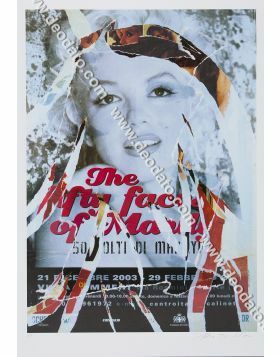 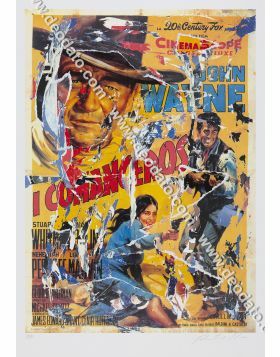 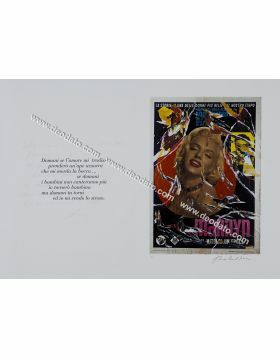 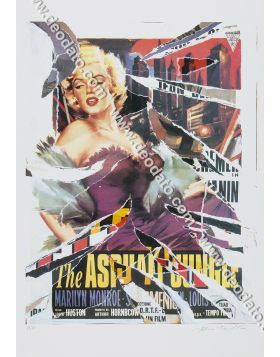 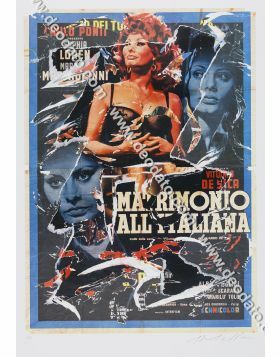 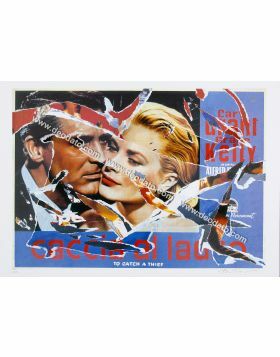 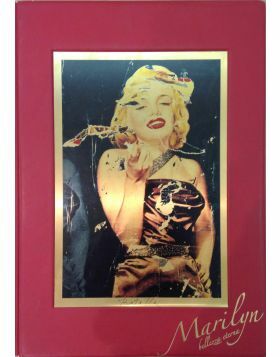 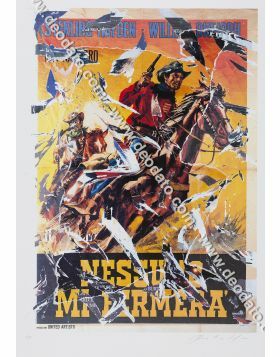 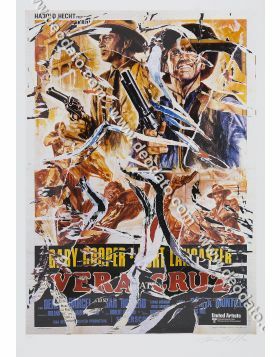 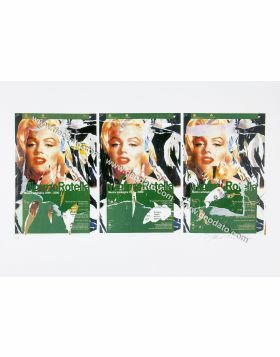 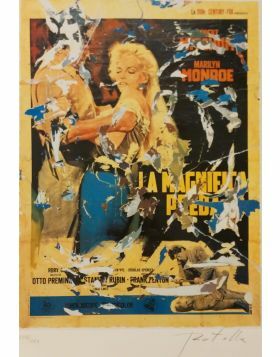 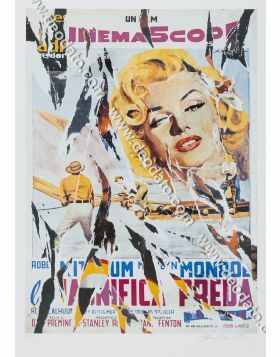 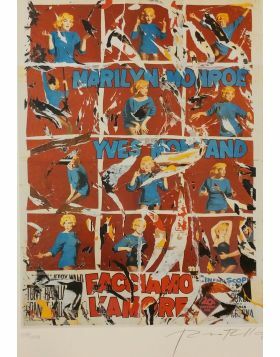 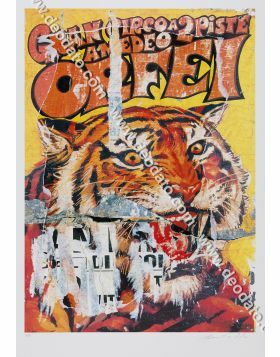 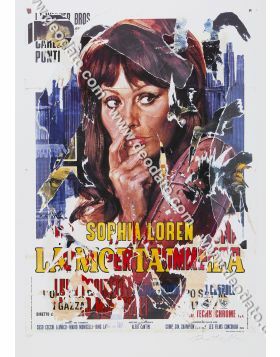 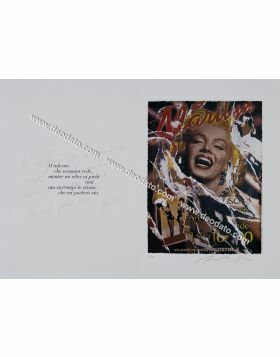 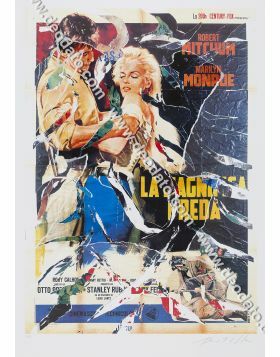 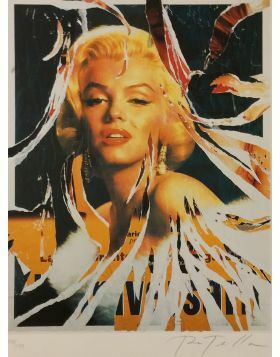 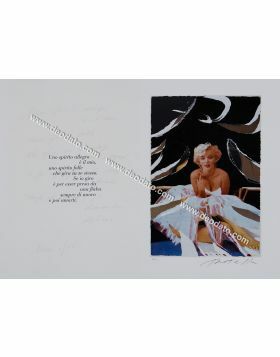 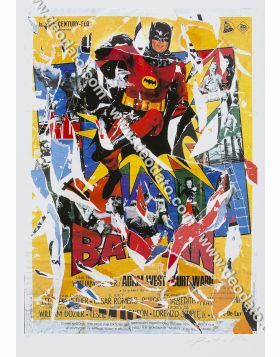 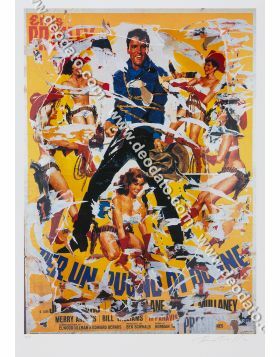 Mimmo Rotella's seridecollage torn by hand based on the film poster of Ladies of the Chorus, starring a young Marilyn Monroe. 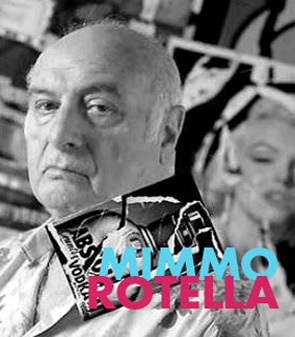 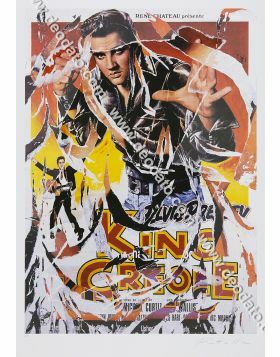 If Rotella had not made a work beginning from the manifesto of this musical comedy, anybody would remember it. 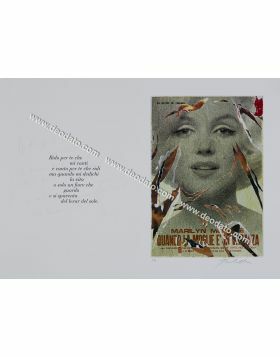 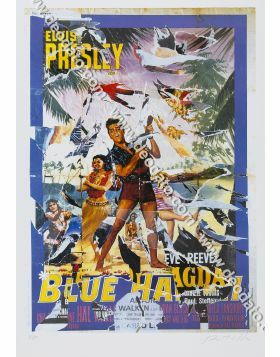 The plot is simple: a starlet of the variety show (Marilyn) falls in love with a young descendant of a rich family. 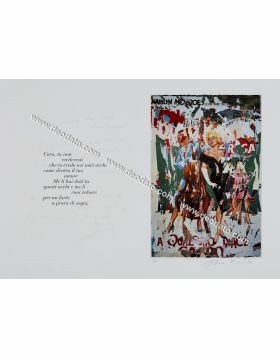 To some obstacle follows a happy ending.